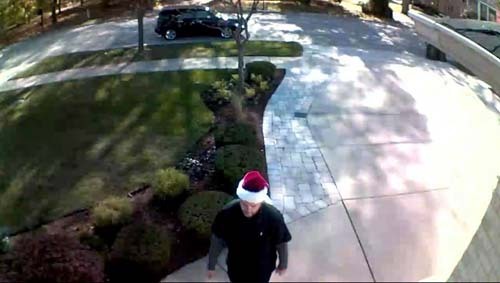 COUNTRYSIDE, Ill. (WLS) -- The holidays are a time for giving, but a package thief is being a real "Grinch" in west suburban Countryside. Police are asking for the public's help in identifying the suspect, who police describe as a male between the ages of 30-40 with neatly trimmed facial hair. 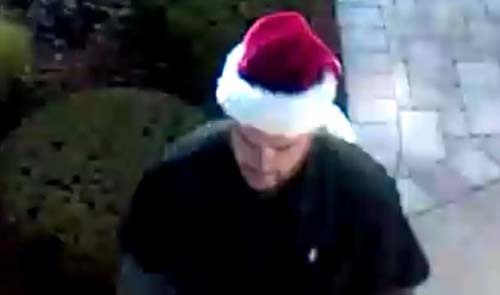 Police said he stole packages from a front porch in the 9700-block of 57th Street while wearing a Santa hat. The thief then took off in a black or dark colored Chevy HHR, police said.